David is amazing. He is very talented and I can not tell you how beautiful my wedding photos turned out. Not only that but we all had a blast taking them. He is very fun and professional and also worked closely with my wedding coordinator Linda to make sure everything ran smoothly. We have had tons of compliments on our photos. He also emailed some to us to enjoy on our honeymoon. 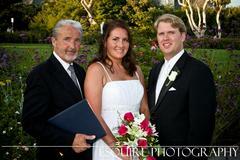 Esquire Photography was the highlight of our wedding! So professional, so kind, so wonderful at what they do! I would never use any other photographer after working with them! The quality of the photos is amazing!